Pininfarina is generally more famous for its gorgeous designs rather than creating its own vehicles from the ground up, but under the ownership of Mahindra & Mahindra, the Italian coachbuilder looks to become an EV-focused automaker. An electric hypercar arriving in 2020 could be the firm's first model under this new initiative, and more products will arrive later. Mahindra's backing will allow Pininfarina to design, engineer, and manufacture its own models, according to The Business Standard. The brand will focus on creating high performance and luxury electric models. The vehicles' EV tech will take advantage of Mahindra's knowledge from participating in Formula E racing, too. Pininfarina has been hinting toward building its own models throughout much of the year. "My father’s dream was to build a car company and his father’s dream was also to build a car company," CEO Paulo Pininfarina said at the 2018 Geneva Motor Show. "Now I plan for that dream to come true." Mahindra purchased Pininfarina for $185 million in 2015. Since then, the Italian firm has supplemented penning supercars with showing off concepts for a variety of electric vehicles. The two most recent of them are K350 SUV and H500 sedan show cars. However, the earlier HK GT (pictured above) is likely the best preview so far of what Pininfarina might have in mind for its new supercar. 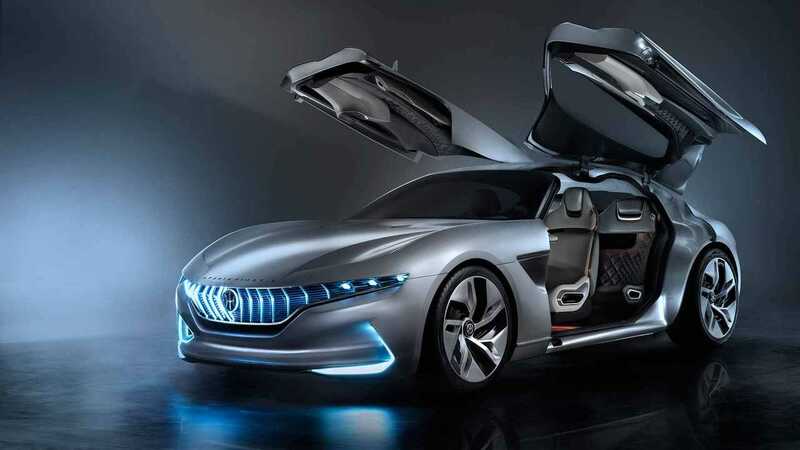 It features a sleek, flowing shape and a pair of massive gullwing doors that allow entry to both rows of seats – although engineering this element for a production model might be a challenge. 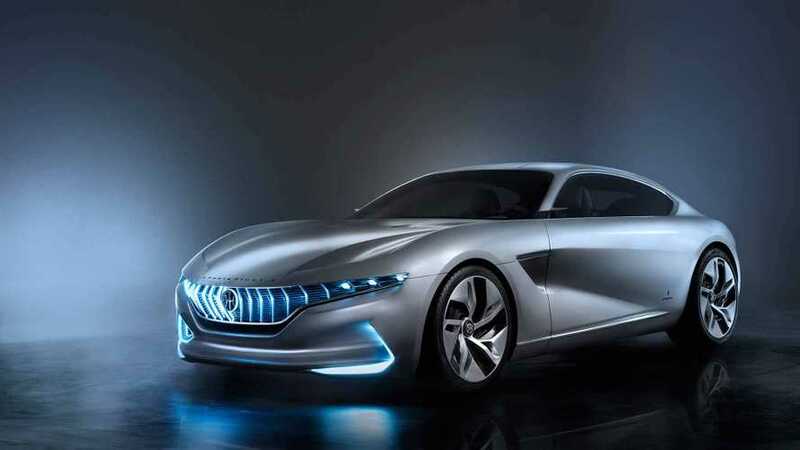 The HK GT uses four electric motors with a total of 1,073 horsepower (800 kilowatts) that can accelerate the coupe to 62 miles per hour (100 kilometers per hour) in 2.7 seconds. Pininfarina equips the concept with a relatively small 38-kilowatt-hour battery but imagines offering a turbine, hydrogen fuel cell, or combustion engine as possible range extenders. A rumor from 2017 indicated that Mahindra wanted to sell electric vehicles under the Pininfarina brand in the United States and China. "Competing in the U.S. is like the old Frank Sinatra song that if you can make it there, you can make it anywhere,” Mahindra Group chairman Anand Mahindra said at the time. “So when you sell cars in the U.S., it forces you to be the most competitive."